You Can Run a Marathon! 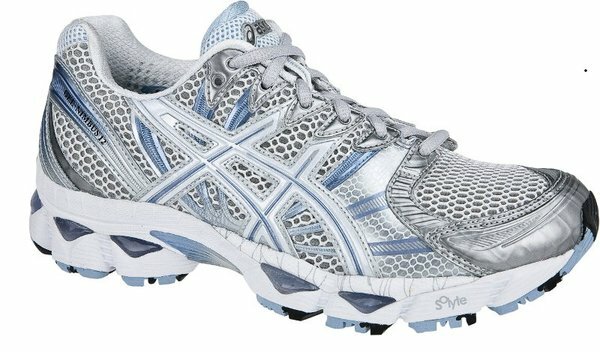 : New Asics Nimbus 12 Trainers! I have just bought myself some new Asics Nimbus 12 trainers :-) Talk about hard to find! Everywhere is selling the Nimbus 13 so it has been really hard to find some Nimbus 12's and finding them in the size I want made it even harder. I decided to stick to the Nimbus 12's as my feet have high arches and Nimbus 13 gets bad reviews from people with feet like mine. Also I tried on the Nimbus 13's and found them to be so narrow I felt that my feet were being squeezed :-( Not good for running a marathon! I went up a size in my new Nimbus 12's as I have been having problems with losing my toenails and after running a half marathon on Monday I checked to see how much space there was between my toes and the end of the shoe and found out that my toes were touching the ends! My feet must really swell up during a long run. I was ill and couldn't really train for a whole month in Feb 2011. I hated just sitting around. What marathon are you thinking of for your first one? I ran Valencia in November and really loved it. The course is pretty flat and has an interesting route.